The National Motorists Association is a membership-based organization dedicated to protecting the rights of the motoring public. React to specific federal and state-by-state legislative activity impactful to motorists. Response deadlines and NMA guidance provided. Representation for traffic violations, DWI/DUI charges, and personal injury claims. Europa Parts is a top online retailer for genuine OEM and aftermarket Audi parts, Volkswagen parts, and Porsche parts. A seasoned criminal defense attorney with years of experience as a DC traffic lawyer handling DUI and other traffic charges. Subscribe to our FREE weekly eNewsletter! Drivers’ rights don’t just occur naturally. To protect the driving public from excessive tolls, fees, and fines and to ensure that motorists retain the due process rights afforded all citizens, it takes an organization dedicated to the task. That organization is, and has been for more than 30 years, the National Motorists Association (NMA). John Gomez peer voted #1 personal injury lawyer 2015 & 2016. Contact our award-winning car accident lawyers for a free consultation. (619) 237-3490. Skilled Connecticut traffic lawyers who can provide a strong legal defense. With over a Decade of DUI & criminal defense experience, our Los Angeles DUI Attorney can help you navigate your criminal law case. We offer a risk free consultation. Vikas Bajaj has over 17 years experience defending those accused of a crime. 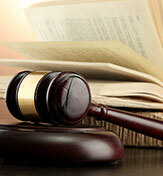 Mr. Bajaj handles all criminal law matters and offers a free consultation. Highly skilled criminal defense and DUI law firm with over four decades of combined experience. Call us at 323-461-2000. Personal Injury Attorneys PLLC and & top-rated injury & car accident lawyer can help you get the compensation you deserve. Call for a free consultation. Sherwin Arzani and his team have over 17 years of personal injury experience helping car accident victims. Top-rated law firm by Martindale-Hubbell with the highest possible rating in Los Angeles for both legal ability and ethical standards. Free consultation at 213-374-3952. Former prosecutor with over 18 years experience handling all criminal law matters. A seasoned Maryland traffic lawyer ready to defend you against DUI and reckless driving charges. Joshua Glotzer has over 20 years of personal injury experience. Free Consultation. Experienced personal injury lawyers offering free consultations for car accidents or any type of accident cases. Top-ranked criminal and DUI defense lawyer who provides aggressive legal representation. John Rapillo has over 38 years of personal injury experience helping car accident victims. Free Consultation. Criminal Defense Lawyer PLLC is Phoenix, Arizona’s premiere DUI defense law firm. Schedule a free DUI consultation today. Miami Personal Injury Attorney focused on maximizing compensation for car accident victims. With over 2 decades of experience, our Los Angeles Personal Injury Attorney can assist with car, motorcycle, semi-truck, pedestrian, & bus accidents. Monder Law Group represents criminal clients in San Diego California. Representation includes DUIs and all traffic related offenses. If you’ve been injured in a car accident, call San Diego personal injury lawyer Richard Morse III for a free consultation. A skilled Virginia traffic lawyer with over ten years of trial experience. Miami personal injury attorney with a proven track record of fighting for car accident victims to make sure they get the money the deserve. Premier DUI defense law firm with over 20 years experience in all Los Angeles County Courts. Free consultation 866-986-2092.